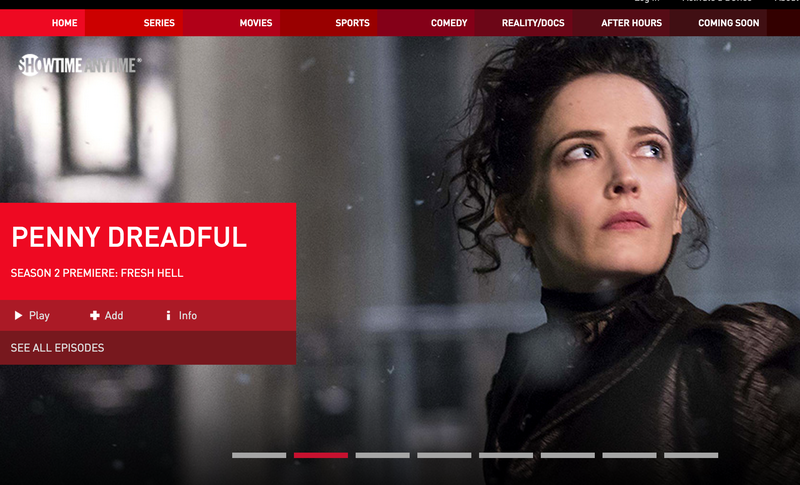 After months of waiting, cord-cutters can now get access to Showtime’s streaming service without having to subscribe to basic cable (or use a friend’s login info). Simply dubbed “Showtime,” the service is available through a handful of options. Purchasing the subscription through Apple or Roku will cost the full $10.99/month price. If you’re a Hulu subscriber, adding Showtime will only hit your wallet for $8.99/month. In addition to the discounted rate, using Hulu as your entry point for Showtime means the service will be available for you on all of the platforms that Hulu is already on, without the need for a separate app. It’s a little more complicated for users of Sony’s PlayStation Vue. If you’re a Vue subscriber who also pays for PS Plus access on your console, then you get the same discounted price of $8.99. But Vue subscribers who aren’t Plus members will pay the full $10.99. But while most Vue channels are currently only available in a handful of markets, Showtime is being sold through Vue on a nationwide basis. Regardless of which method one chooses, Showtime is offering a 30-day free trial. If you don’t intend to go on beyond that initial month, remember to mark your calendar or set a reminder to cancel before you get re-upped into a paying subscription.